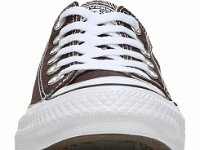 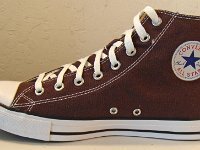 Photo gallery of new burnt umber seasonal chucks. 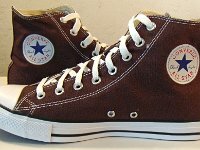 1 Burnt Umber High Top Chucks Inside patch view of a right burnt umber high top. 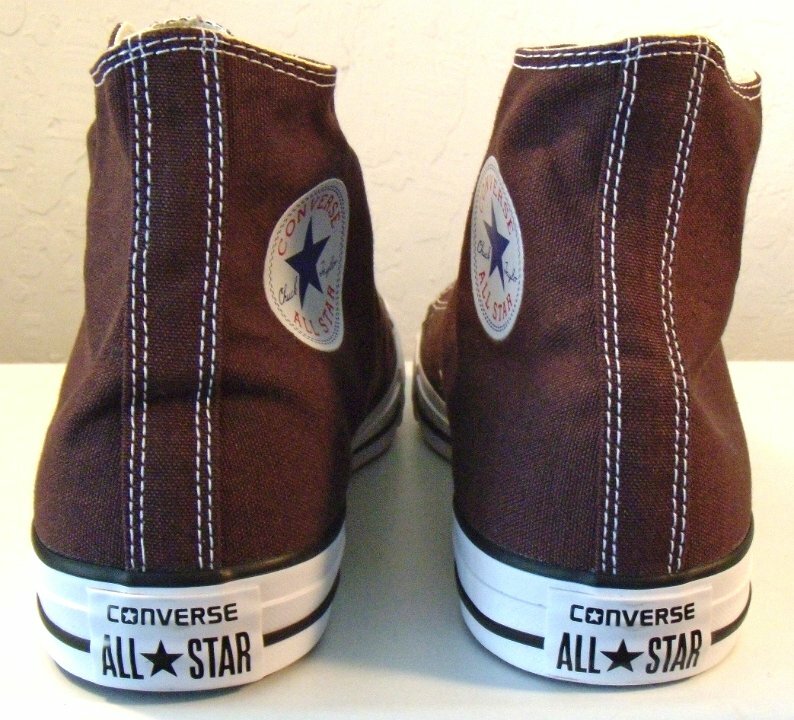 2 Burnt Umber High Top Chucks Outside view of a right burnt umber high top. 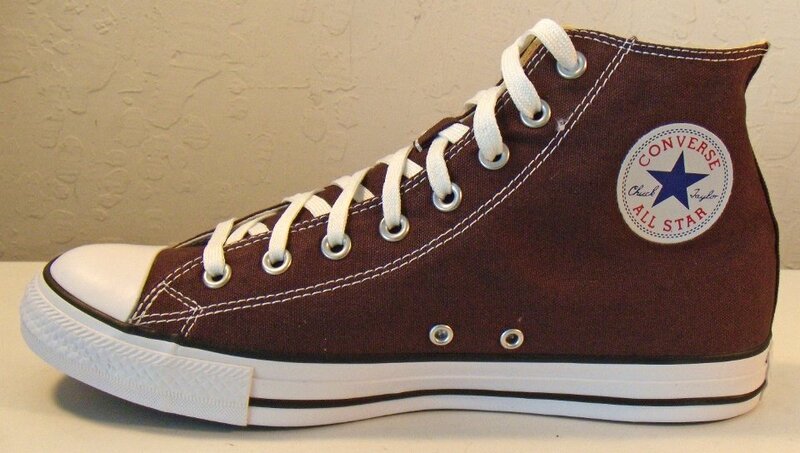 3 Burnt Umber High Top Chucks Inside patch view of a left burnt umber high top. 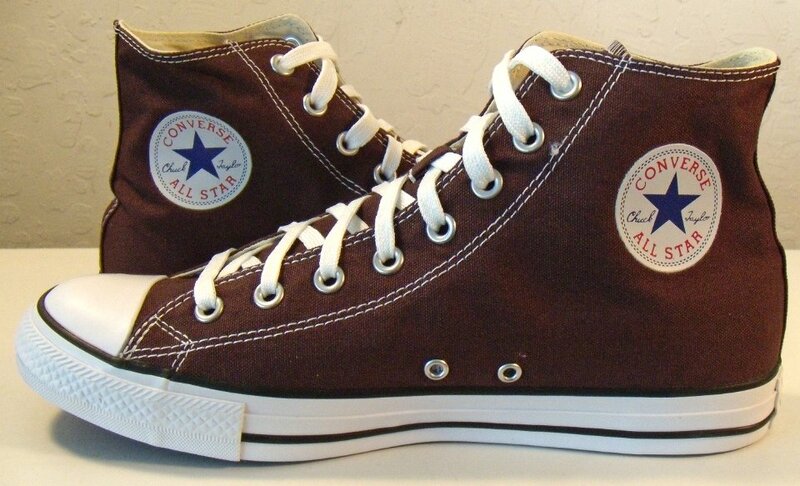 4 Burnt Umber High Top Chucks Outside view of a left burnt umber high top. 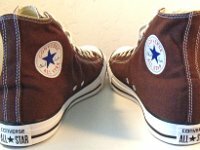 5 Burnt Umber High Top Chucks Rear view of burnt umber high tops. 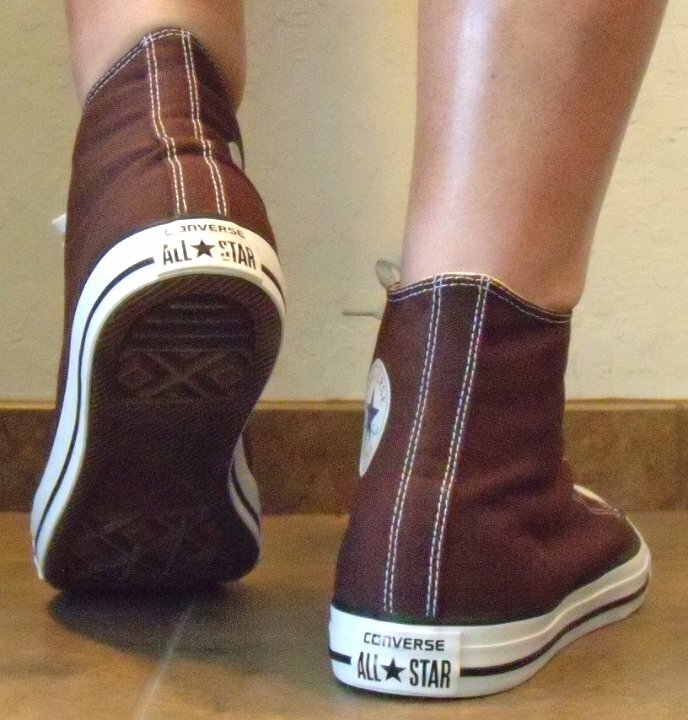 6 Burnt Umber High Top Chucks Angled rear view of burnt umber high tops. 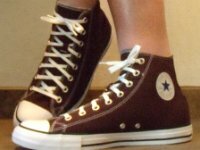 7 Burnt Umber High Top Chucks Angled side view of burnt umber high tops. 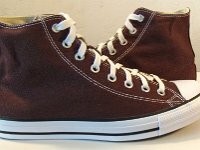 8 Burnt Umber High Top Chucks Front view of burnt umber high tops. 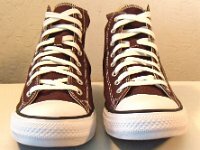 9 Burnt Umber High Top Chucks Angled front view of burnt umber high tops. 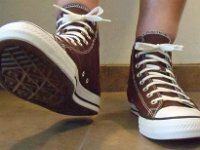 10 Burnt Umber High Top Chucks Top view of burnt umber high tops. 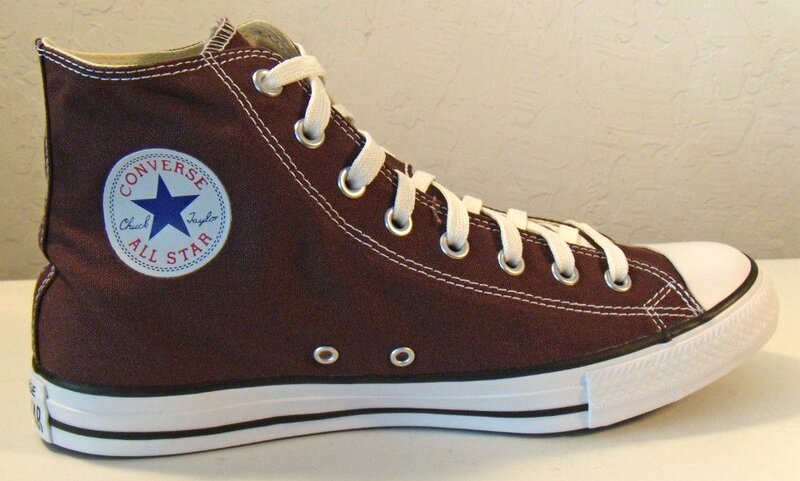 11 Burnt Umber High Top Chucks Inside patch views of burnt umber high tops. 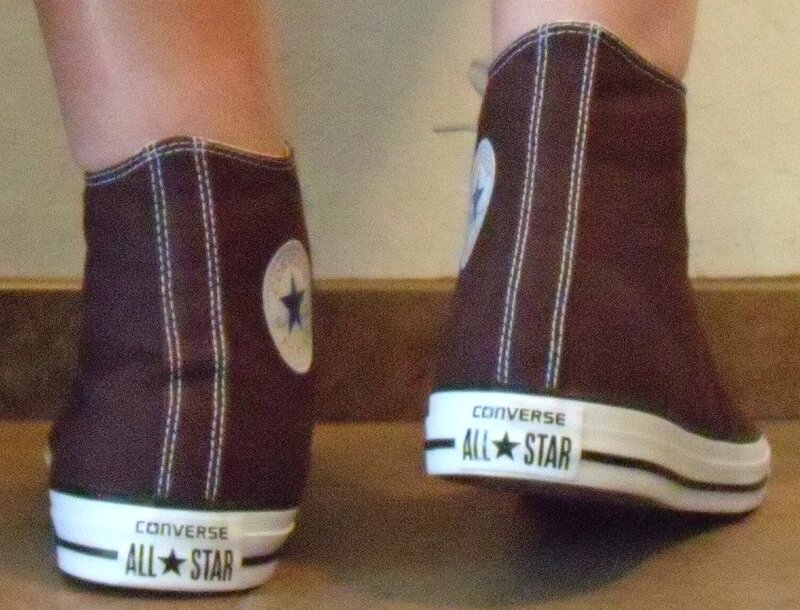 12 Burnt Umber High Top Chucks Outside views of burnt umber high tops. 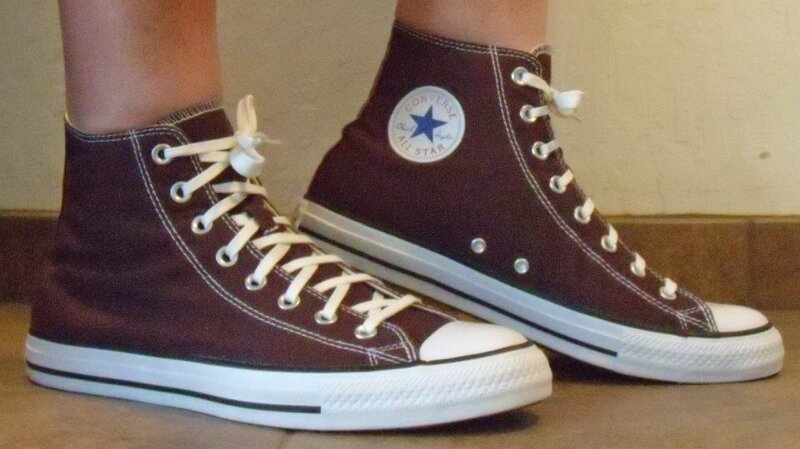 13 Burnt Umber High Top Chucks Inside patch and sole views of burnt umber high tops. 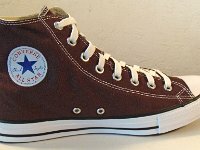 14 Burnt Umber High Top Chucks Wearing burnt umber high tops, front view 1. 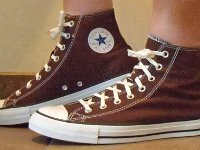 15 Burnt Umber High Top Chucks Wearing burnt umber high tops, front view 2. 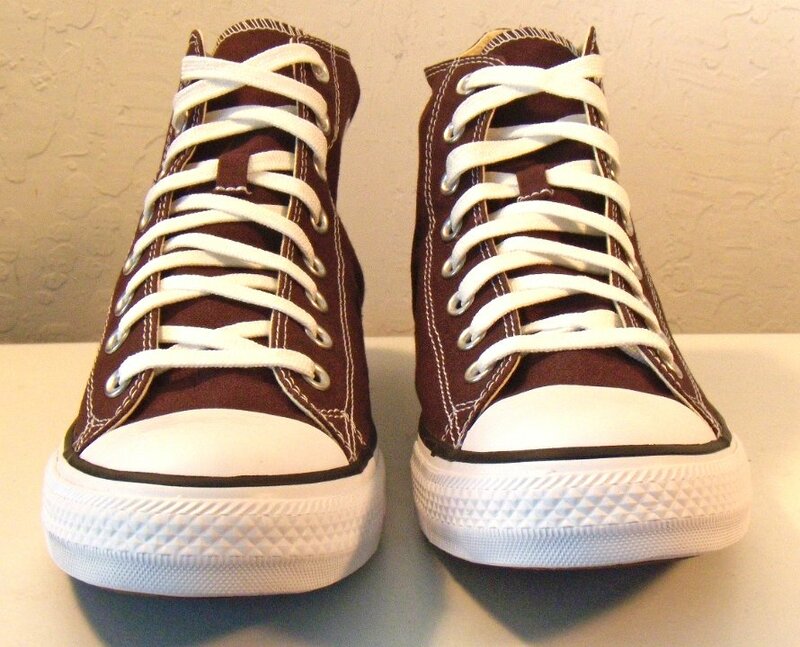 16 Burnt Umber High Top Chucks Wearing burnt umber high tops, left side view 1. 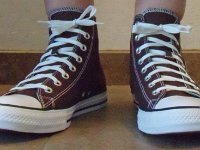 17 Burnt Umber High Top Chucks Wearing burnt umber high tops, left side view 2. 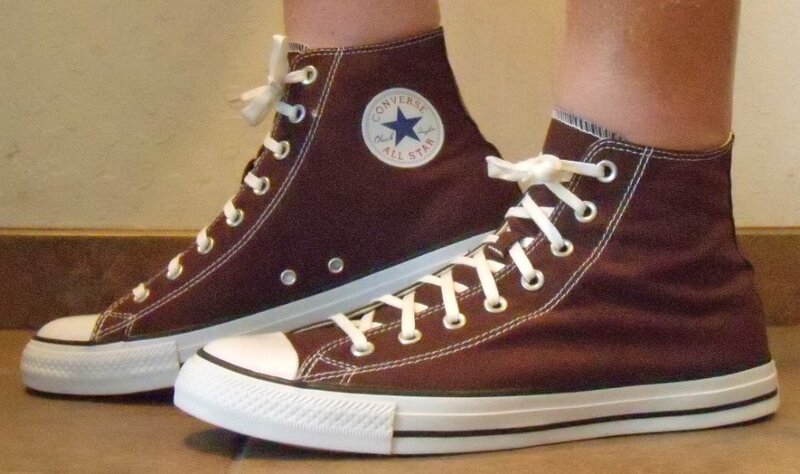 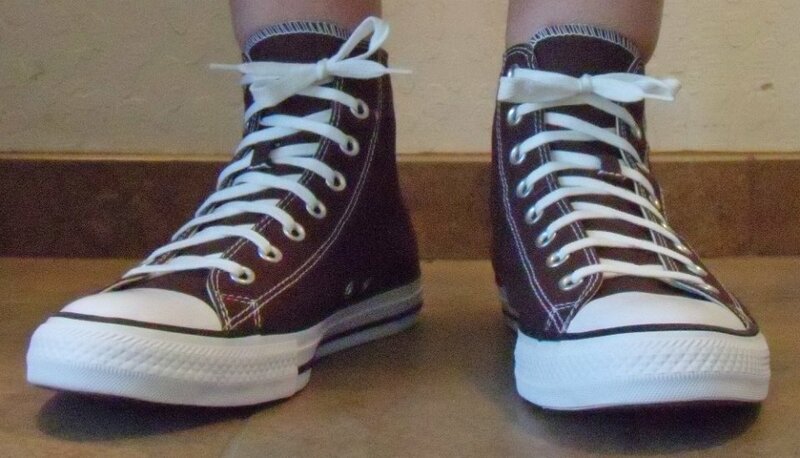 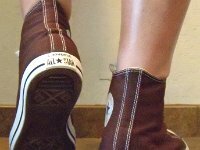 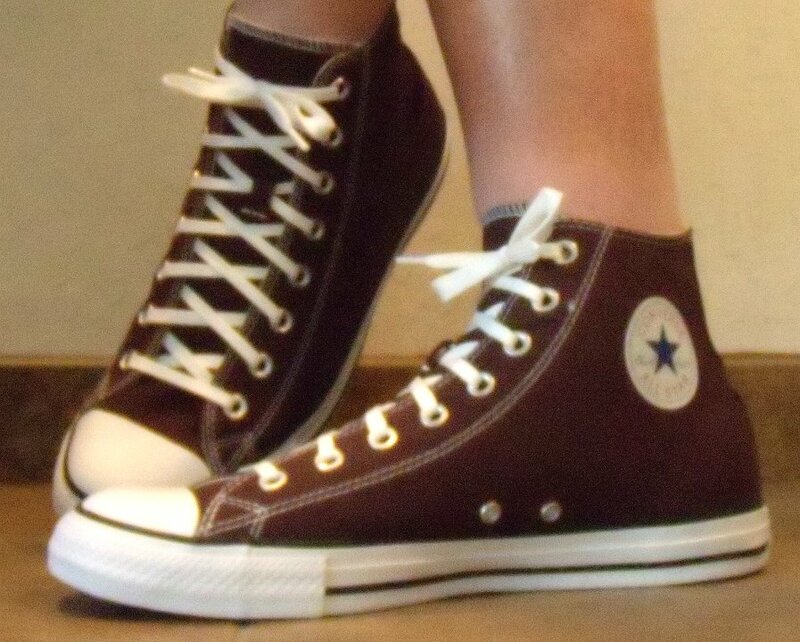 18 Burnt Umber High Top Chucks Wearing burnt umber high tops, rear view 1. 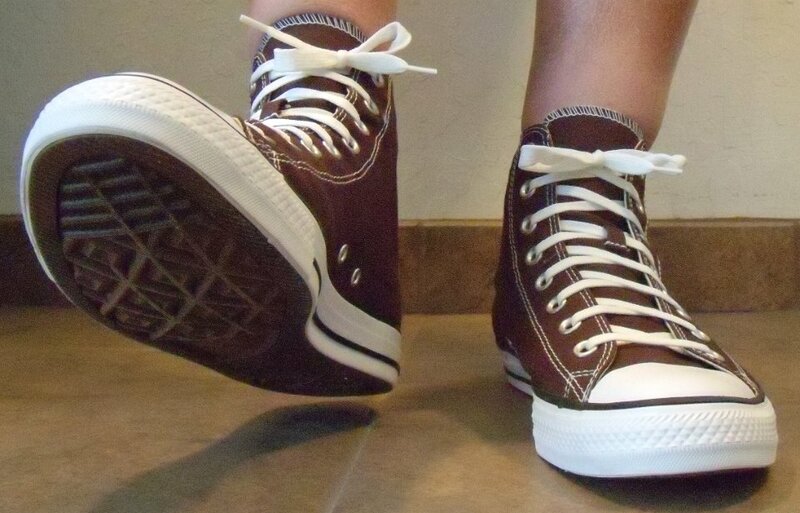 19 Burnt Umber High Top Chucks Wearing burnt umber high tops, rear view 2. 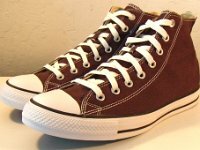 20 Burnt Umber High Top Chucks Wearing burnt umber tops, right side view 1. 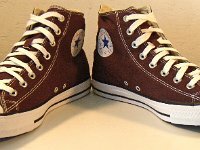 21 Burnt Umber High Top Chucks Wearing burnt umber tops, right side view 2. 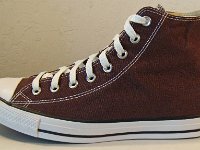 22 Burnt Umber High Top Chucks Outside view of a right burnt umber high top. 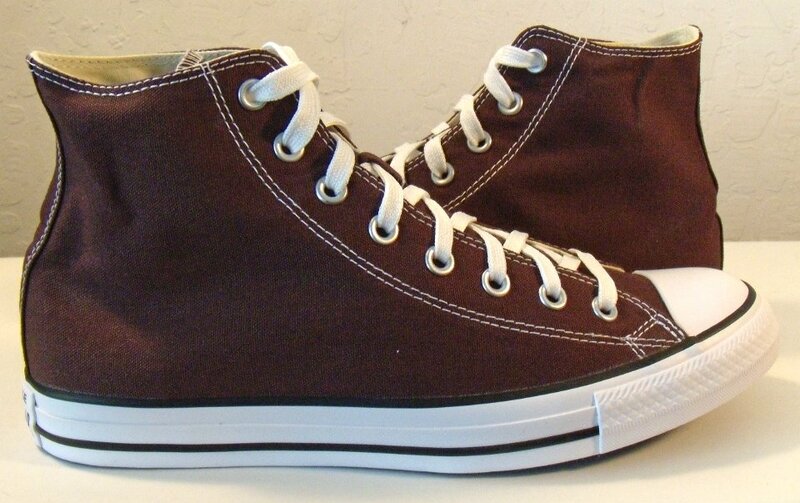 23 Burnt Umber High Top Chucks Front view of a right burnt umber high top. 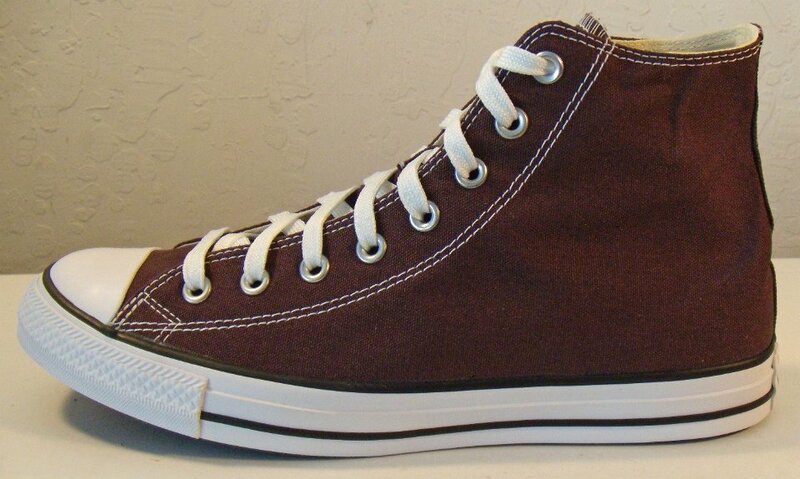 24 Burnt Umber High Top Chucks Inside patch view of a right burnt umber high top. 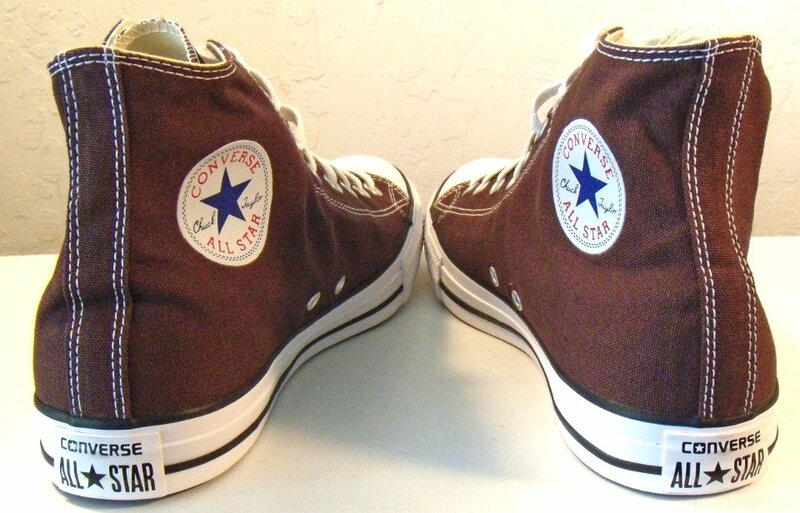 25 Burnt Umber High Top Chucks Rear view of a right burnt umber high top. 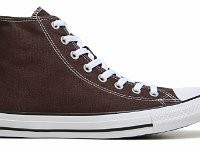 26 Burnt Umber High Top Chucks Top view of a right burnt umber high top. 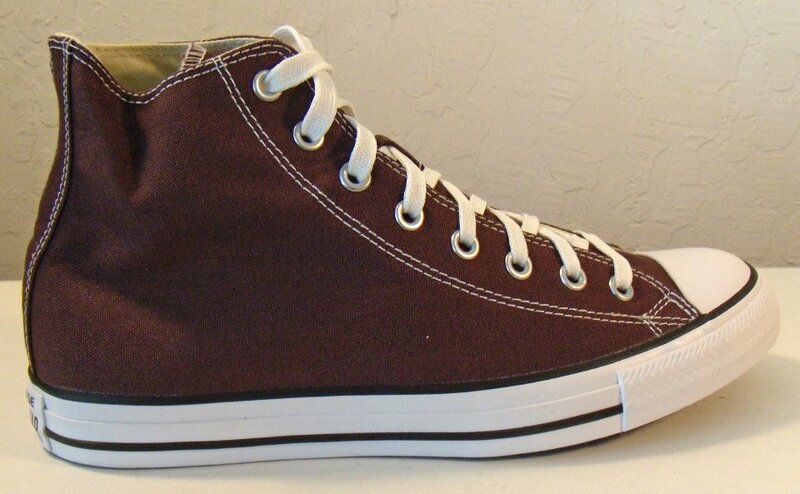 27 Burnt Umber High Top Chucks Angled side view of burnt umber high tops. 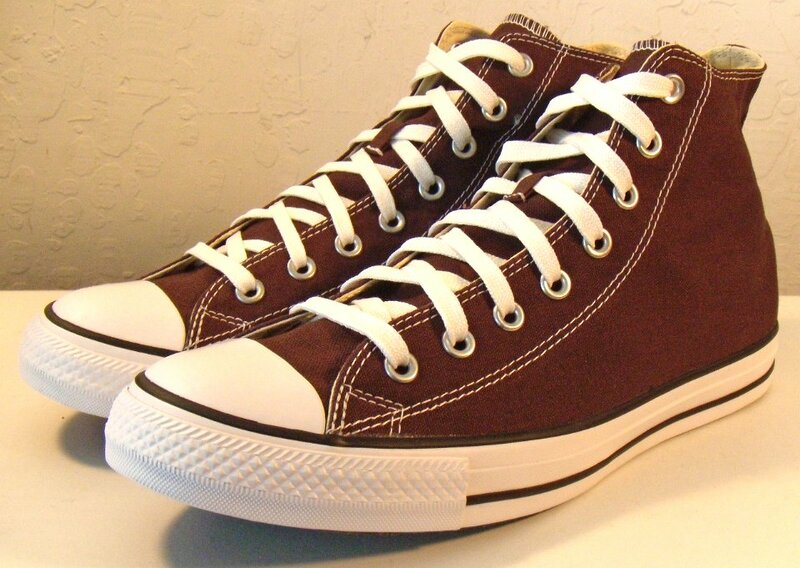 28 Burnt Umber Low Top Chucks Angled side view of burnt umber low tops. 29 Burnt Umber Low Top Chucks Outside view of a right burnt umber low top. 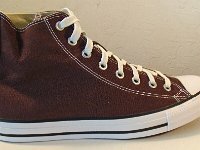 30 Burnt Umber Low Top Chucks Front view of a right burnt umber low top. 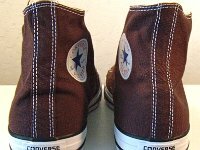 31 Burnt Umber Low Top Chucks Inside view of a right burnt umber low top. 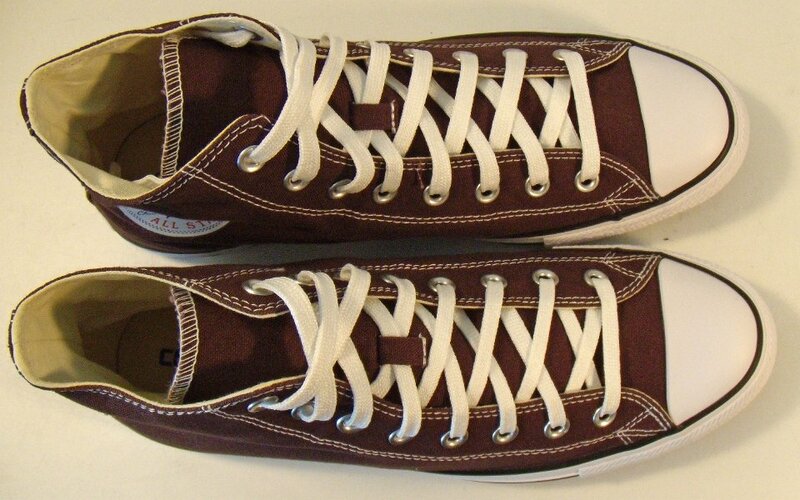 32 Burnt Umber Low Top Chucks Rear view of a right burnt umber low tops. 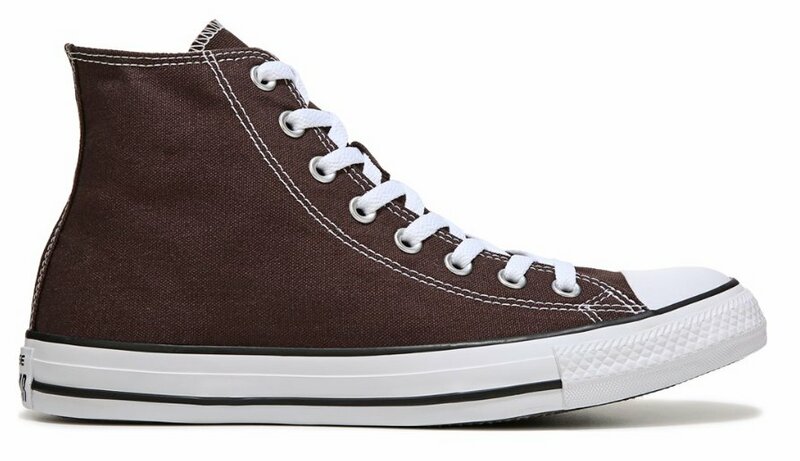 33 Burnt Umber Low Top Chucks Top view of a right burnt umber low top. 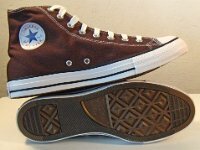 34 Burnt Umber Low Top Chucks Outer sole view of a burnt umber low top. 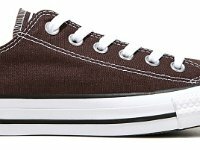 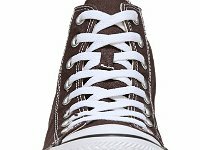 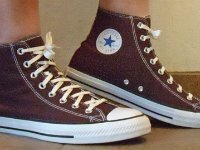 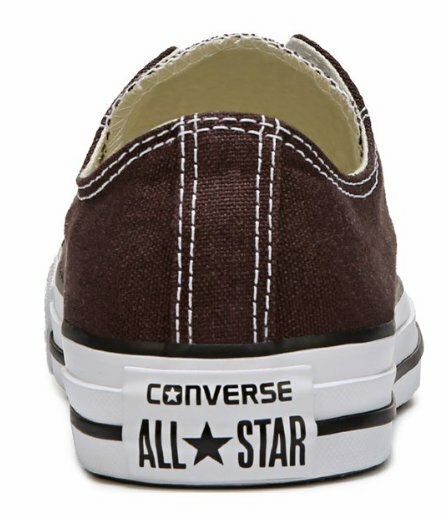 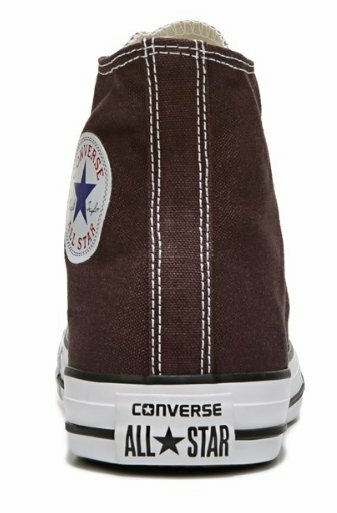 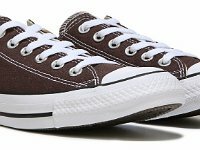 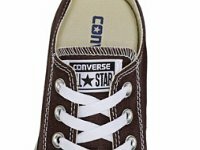 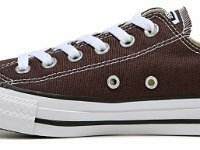 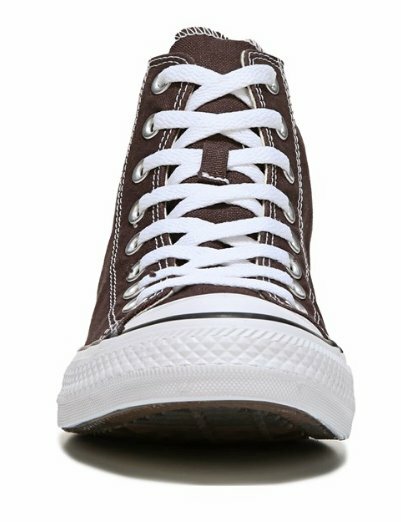 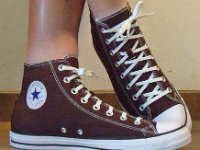 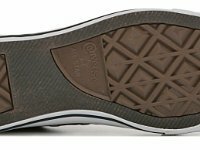 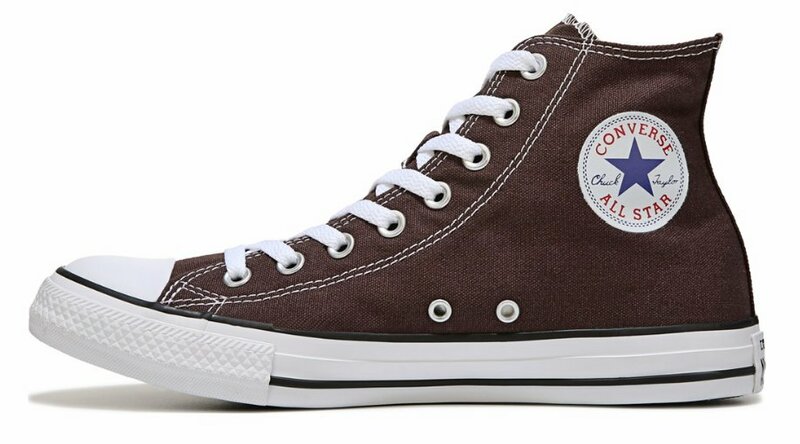 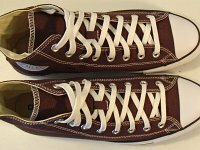 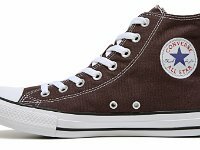 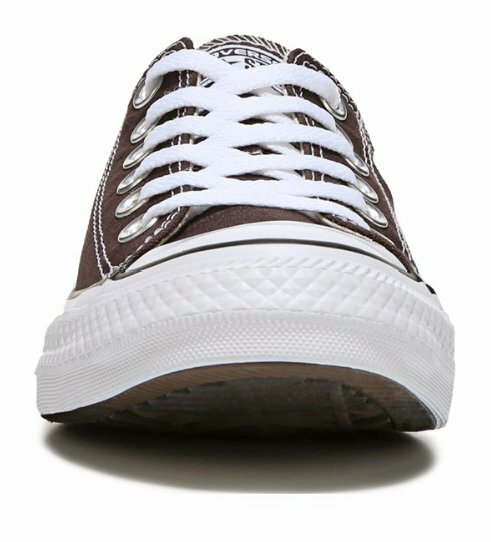 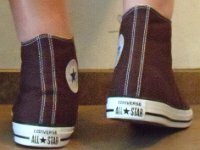 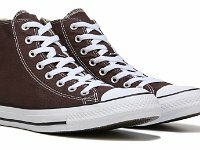 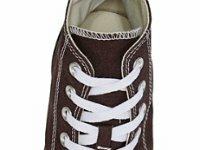 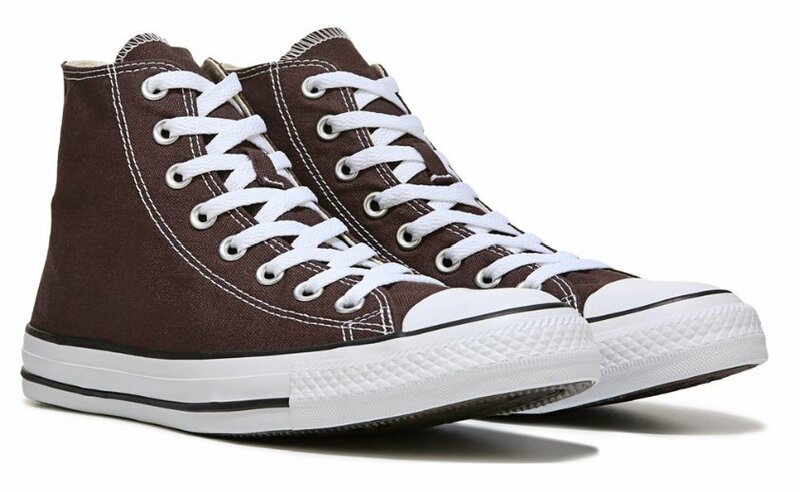 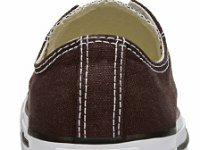 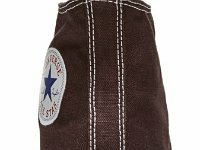 Burnt Umber chucks are a brown seasonal color made in 2014 and also 2016. 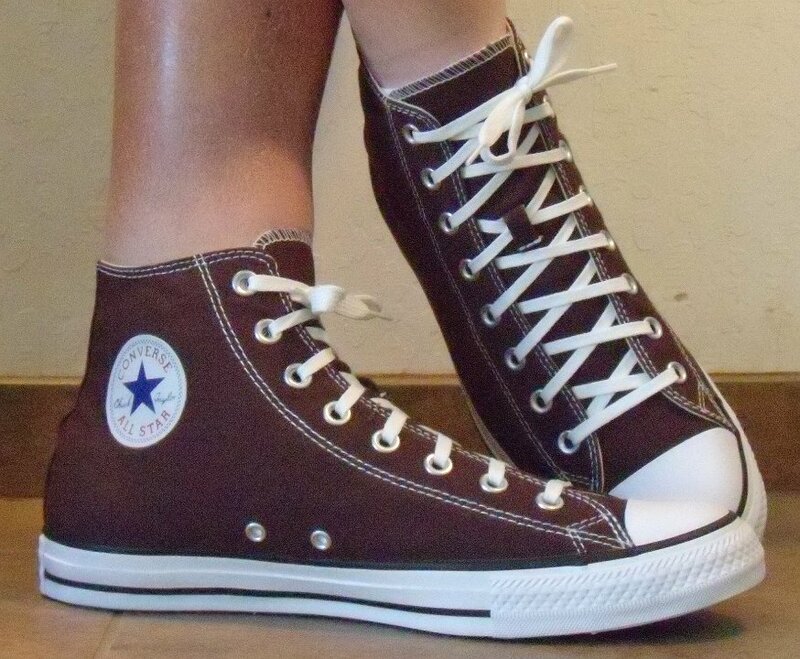 This gallery shows an actual pair and catalog photos of high and low tops.